Many businesses use email marketing to communicate with new and existing customers. When done right, it’s one of the most effective ways to tell people about the products or services you offer and to increase your sales. Email marketing also allows businesses to focus on targeting specific customers or groups of customers directly and in a more personal manner. Businesses benefit from using automation tools that help organise their email marketing campaigns. There are many automation tools to choose from. 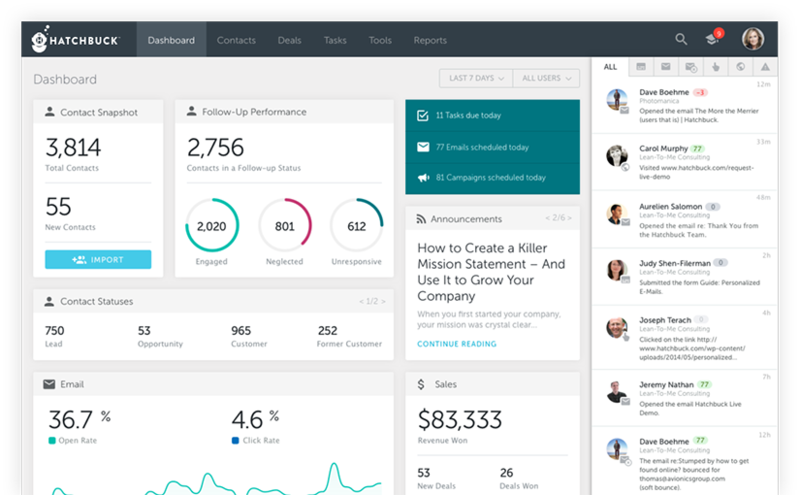 We use Hatchbuck, which is a CRM, marketing software and email marketing system all-in-one. It’s easy to use and helps you to stay on top of your marketing and communications strategy. You can allocate various tags to contacts that will help you differentiate your customers. Filtering contacts by their preferences or location can help you target right people with the right emails. This way you don’t have to worry about accidentally sending a ‘Congratulations on your baby arrival’ email to someone who wasn’t expecting one! Gather your contacts. 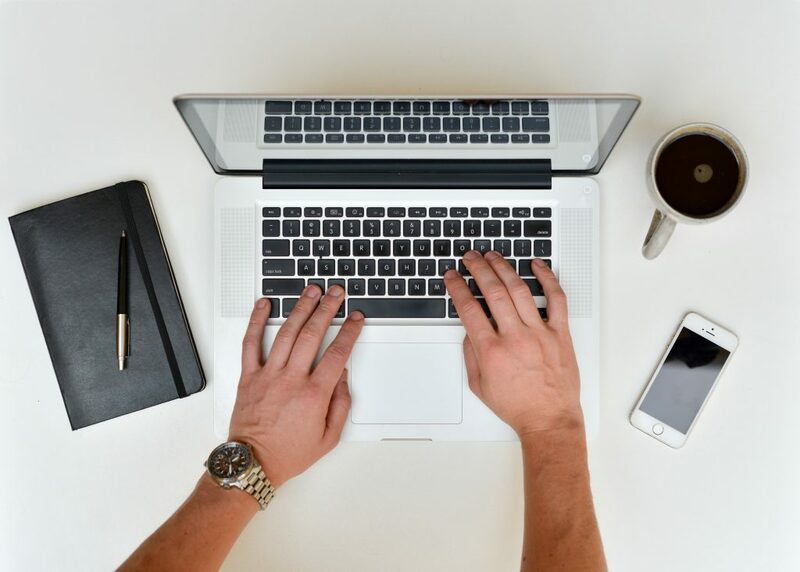 You probably have a list of contacts in your database if you’re thinking about starting an email marketing campaign, however, you want to make sure this list constantly grows. Get people to subscribe to your newsletter, clearly place the subscription form on your website or in a blog post. Make it as visible as possible so it can’t escape their attention. Offer people some free goodies. These could be free samples of your products or a free e-book they could benefit from. Collect email addresses at networking events. Make sure you send a welcome email afterwards. There are many different ways you can grow your contact list, but also, bear in mind that your contact list is mainly about quality and not the quantity. Make sure you go through the contacts after each of your campaigns as there will be hundreds of emails which were either not delivered due to a wrong email address, or people in your database simply don’t work for the company you’re trying to reach. Keep an eye on this as there’s no point in sending emails that will never be opened. The subject line is the first thing we see when we receive an email. Therefore it plays a big role in determining whether or not your email is worth opening and reading. Think about creating a subject line that will make your recipient curious about what’s inside your email. Use creativity and relevance. People like to see they are valued customers. Using their first name in a subject line or at the beginning of the email makes them feel that you value them and they are important to you. Using email marketing software helps you with sending a high amount of personalised emails to your contacts based on their buying decisions and preferences. The design of an email is very important as it represents your brand and forms an impression in the mind of the recipient. Create an email template that you will use for your email marketing campaigns. This can be tailored for each of your campaigns, however, take into account brand personality and maintain consistency. Logo, colour scheme, font, size, and style should be in line with your current brand guidelines and remain the same for each of your campaigns. While working on your design you have to make sure the design is responsive so your customers won’t have any trouble opening it on any device. Spelling mistakes can make your business look unprofessional and put potential off reading your email. Make sure you double check your emails before you send them out and make sure you get their name spelled correctly. The last thing your customers want to pick up on is a spelling mistake! When your customers open your email, they will be expecting to find information that is relevant to them. If your content is too generic and the information or offer you provide has nothing to do with them, they are likely to hit unsubscribe. Stop and think – is this email useful and relevant to this customer? As we mentioned earlier, make sure your email is responsively designed. 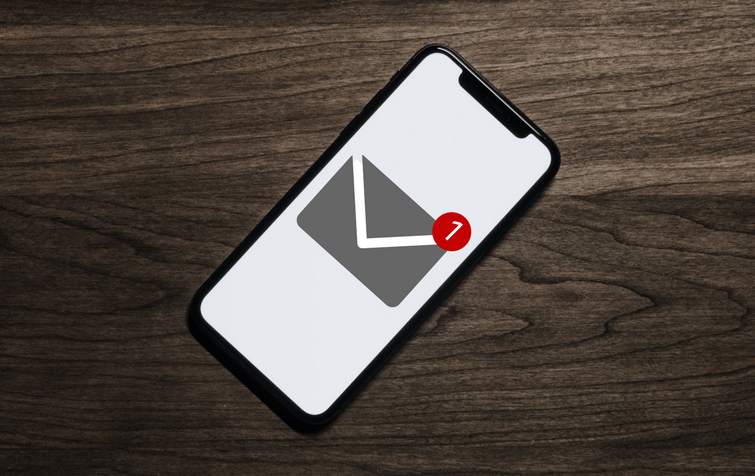 People spend a lot of time on their mobile phones, so it’s no surprise that emails are most likely to be opened on mobile devices. According to Litmus report from December 2017 (based on 1.23 billion opens), Apple iPhone holding 28% becomes number 1 platform for opening emails. This means it’s crucial that your emails are adapted for mobile use as well as for a desktop use. Running an A/B test is one of the easiest and most reliable ways of finding out which campaigns work best for your audience. Try using a different subject line, or experiment with a different format and design of your email. Send an ‘A’ email to half of the customers in your contact list, and the email ‘B’ to another half. This will then help you to find out what works best for your target audience. Test it – again and again! Before you launch your email campaign, be sure to test it first, and then test it again. Test your campaign across multiple platforms and devices and check that it displays correctly. Run a spam check too – this will check whether your email will pass through spam filters or not, which is pretty crucial. Each email marketing campaign will provide results. It’s important to measure your open rates, click-through rates, unsubscribes and complaints. Email marketing software gives you full reports on these results, helping you to analyse which campaigns work well and which don’t. Once the contact shows interest, it’s important to follow up. For example, if your email contains a link to your website which your contacts clicked on, follow up with another email based on the interest showed. This will help you to build new relationships with prospects and maintain good relationships with your existing customers. Keep the process of following up those who show an interest steady, however, remember not to make it overwhelming. You don’t want to put potential customers off by annoying them! Web-Feet can help you with E-shot generation, email template design and planning your email marketing campaigns so don’t hesitate to contact us today. Personally, I cringe whenever someone I know dares utter the term – even if they’re doing it ironically I will lash out with violence and they will suffer. For companies, words are a really useful weapon, and many have cottoned on to the fact that talking like a real person is far more engaging than using dry, corporate and jargon-filled language. But when does conversational language go too far? Can brands use colloquialisms and abbreviations? What about text-speak and swear words? It’s a huge topic, so with just a few examples of brands getting it right and well and truly wrong, here are a few ways to ensure modern-day slang stays cool and definitely not cringe.